Data Test: Check downloaded database, if pricing information appears, that means the data is good and can be used. Buy: If an item is showing ‘Buy’, then it is automatically added to the buy.txt file. 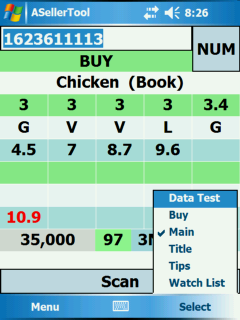 If it does not give you a buy signal, you can click this item to manually add this item to the buy.txt file. Title: Allows you to go to the title search screen. Tips: Opens up to the Tips Screen. Watch List: Setup your watch list.